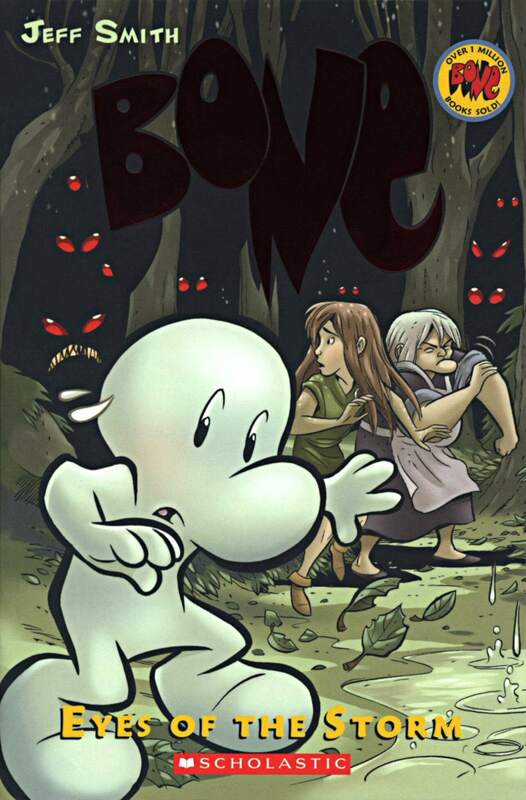 Cover of Bone 3: Eyes of the Storm graphic novel by Jeff Smith. The 3rd graphic novel in the exciting and absolutely funny Bone comic series. Fone Bone and Thorn are starting to have weird dreams. Meanwhile, deadly threats are waiting for Phoney and Smiley Bone as they return to Barrelhaven Town with Lucius.